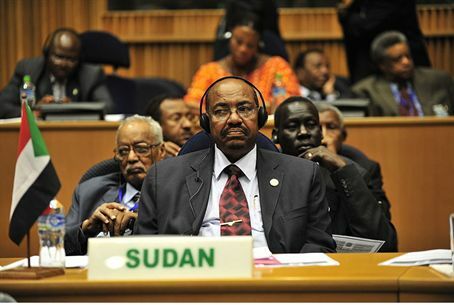 Just days after Iran's nuclear power breakthrough, Sudan moves forward with its "peaceful" nuclear program. Sudanese media reported Sunday that officials from the International Atomic Energy Agency (IAEA) will visit the country this week to discuss Khartoum's plans to import a "peaceful nuclear reactor." The announcement followed a breakthrough in Iran's nuclear program over the weekend, as engineers began loading fuel rods into the Bushehr reactor. Sudanese leaders established a nuclear program in early 2010, according to state news agency SUNA, and they plan to build the country's first nuclear power station in 2020. They say the program is necessary in order to provide electricity to all of the country's citizens, many of whom live in areas with no electric grid. Iran's senior leader Ayatollah Ali Khamenei said in April that Iran is prepared to help Sudan create a nuclear program by sharing both knowledge and technology. The two countries share close economic and political ties; both are Islamic theocratic states. Iran's nuclear program has caused international concern due to Iranian leaders' refusal to allow international supervision of the program and to remarks senior Iranian officials, including President Mahmoud Ahmadinejad, have made threatening the state of Israel. Another cause for concern is Iran's support for terrorist groups. Sudan is involving the IAEA in its nuclear plans, and says it has international approval to go ahead with plans to build two reactors. However, its plans may cause concern due to ongoing conflict in the country, including a government-backed genocide in the Darfur region that has killed hundreds of thousands of people and left many more as refugees. Another potential cause of alarm is the fact that Sudan has been used in the past as a conduit for weapons sent by Iran to terrorists in Gaza. An Iranian weapons convoy was bombed in Sudan in 2009 in an operation widely attributed to Israel. In 2006, a Guardian report revealed that Sudan may be a conduit for other types of equipment as well, including nuclear technology. The report claimed that hundreds of millions of dollars' worth of equipment that was imported to Sudan prior to 2001 had disappeared by 2006, and was apparently sold on the black market.